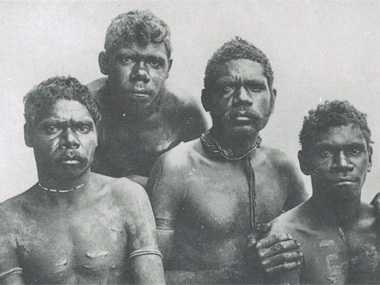 A little before 1892, a group of 27 Indigenous people came together from the groups of Wakaya, Kuthant, Kurtjar, Arapa, Walangama, Mayikulan, Kabi Kabi, Kalkadoon and Muralag. There were 22 men, four women and one child. And the man behind it, Archibald Meston, called the group, Wild Australia. The plan was to take them around the world as a Troupe. And that may have succeeded had it not been for accusations that the performers were held in chains, along with financial scandals. 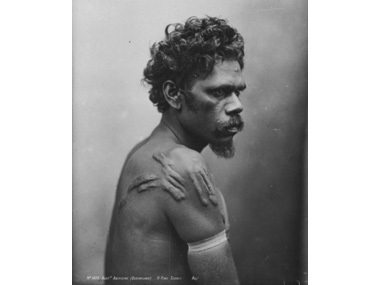 The result of over 30 years research by UQ Aboriginal Environments Research Centre Director, Professor Paul Memmott, and Queensland Museum's Senior Curator, Michael Aird, is a collection of photos taken of these 27 individuals by leading studio photographers of the day. And together they form the basis of a new exhibition. Dr Diana Young, UQ Anthropology Museum Director, who commissioned the exhibition as an important contribution to Australian history said, “As a visitor, you have the opportunity to engage with the presence of each person and create a kind of intimacy across time and space, though sometimes this may be discomforting”. Judging from the photographs we've seen that will certainly be the case. Set to open this coming Monday at the UQ Anthropology Museum. 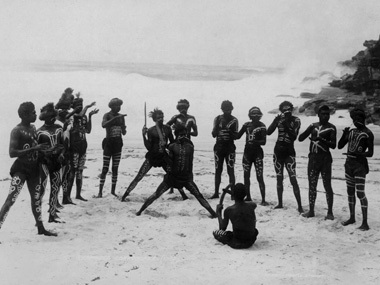 There is also an ABC Radio National interview which can be downloaded from here (this page also shows a photograph of Archibald Meston practising his boomerang throwing skills). News Categories: Australia | Event | Exhibition | Industry | News | What's on?